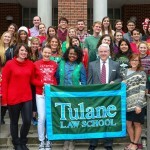 Happy holidays from Tulane Law School! As semester exams wind down, students, faculty and staff are heading home for winter break. 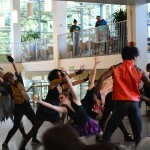 And we’re looking back with gratitude on the experiences, connections and celebrations that have filled Weinmann Hall this fall. We’re thankful to have shared these opportunities with our Tulane Law community, and we can only look forward to more excitement in 2016. Click the thumbnails below to view them as full images. 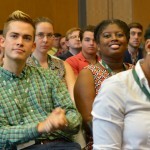 First-year students get an introduction to Tulane Law School before taking the Oath of Professionalism during orientation. 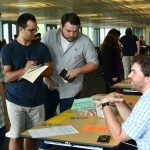 Students seeking legal service opportunities connect with members of New Orleans nonprofits during Tulane Law’s annual Pro Bono Fair. Third-year students are admitted to practice in Tulane Law’s clinics during the 36th Annual Swearing-In Ceremony at the Louisiana Supreme Court. Avione Brown Pichon (L ’08) shares memories of Tulane Law’s recovery after Hurricane Katrina with former Asst. Dean for Career Development Carlos Davila-Caballero (L ’97) and Asst. Dean of Academic Services Colleen Timmons. 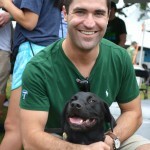 Tyler Profilet (L ’16) and pup Yati are all smiles at the Student Bar Association’s Homecoming tailgate on Gibson Quad. 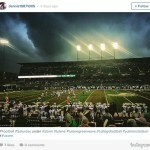 Alum Dennis Zhao (LLM ’15) snaps and shares a stunning photo of Yulman Stadium during Tulane’s Homecoming game – and wins Hero Sports’ College Photo of the Week contest. 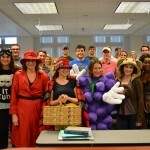 For the third straight Halloween, Prof. Sally Richardson is voted the law professor students most want to see in costume. She (and her students) didn’t disappoint. 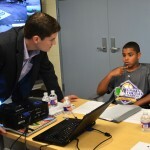 Hamilton Wise (JD/MBA ’16) explains baseball business to kids as part of a new Tulane Sports Law partnership with MLB’s Urban Youth Academy. 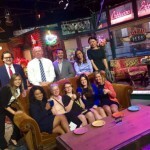 Prof. Elizabeth Townsend Gard leads intellectual property students on an insider’s tour of the LA entertainment industry – including a “Friends” set visit. 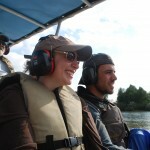 Emily Alesandrini and Anthony Cooper (L ’18) travel by airboat to Plaquemines Parish on an Environmental and Energy Law Society tree-planting adventure. 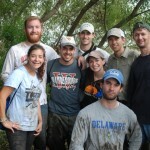 Tulane Environmental and Energy Law Society students celebrate a successful day planting trees to protect wetlands in partnership with the Coalition to Restore Coastal Louisiana. 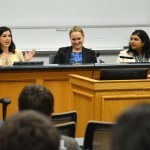 Young attorneys from Animal Legal Defense Fund, McGlinchey Stafford and Irwin Fritchie introduce 1Ls to diverse legal practice areas during a Career Development Office panel. 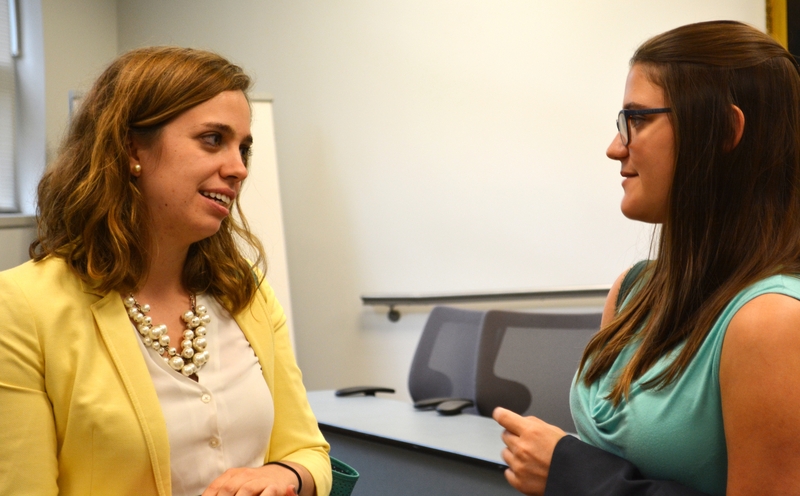 Criminal Litigation Clinic student-attorney Alex Perez (L ’16) questions a physician while Morgan Jackson (L ’16) listens during a mock trial exercise with Tulane School of Medicine forensic psychiatry fellows. The Class of 2016 spreads holiday cheer and launches its campaign to raise a record-setting graduation gift to fund scholarships for future students. This entry was posted in Student life on December 17, 2015 by tlslagniappe. Tulane Law is recognized across the globe for its international law programs – but what do international legal careers look like in practice? Below, two recent alums share their experiences helping nations rebuild and aiding immigrants navigating the U.S. legal system. In just two years since earning her Tulane Law JD, Kirsten Lavery (L ’13) has made big strides – moving from New York to Washington, D.C., and from an international law firm to a global pro bono organization. Kirsten Lavery (L ’13) helped organize a workshop to educate village leaders on South Sudan’s recent peace agreement. The meeting took place over three days in Uganda. Photo courtesy of Kirsten Lavery. She’s counsel for the Public International Law & Policy Group, which provides legal aid to promote peace and political development in war-torn and post-conflict countries. She manages the organization’s programs to support the peacemaking process in the Republic of South Sudan after a civil war that ended with an August peace agreement. Among her recent projects: Organizing a workshop to educate village leaders on the peace agreement’s provisions on reconciliation, justice and reparations so they can explain the changes to members of their communities. “The peace agreement created lots of obligations related to transitional justice, which is the way a society heals after war,” Lavery said. 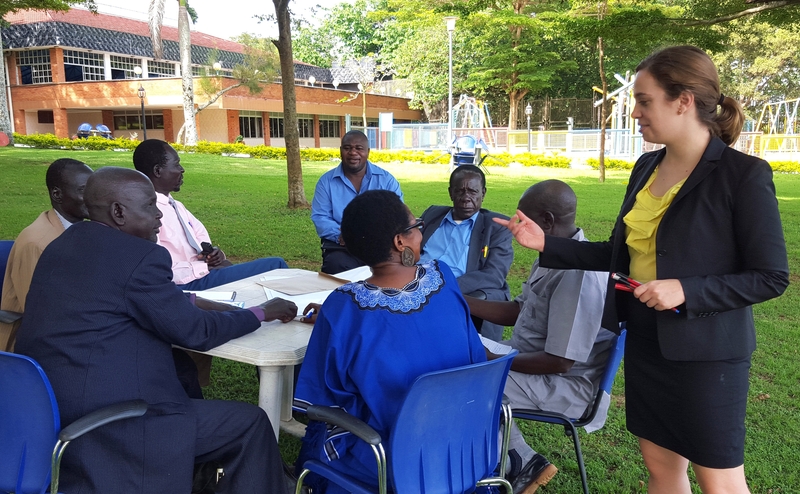 More than 70 chiefs from across South Sudan attended the workshop in Entebbe, Uganda and developed plans for their engagement in the transitional justice process. She’s also worked on improving South Sudan’s documentation of human rights violations, such as killings, rapes and village burnings, so the government can prosecute those who’ve committed the crimes. It’s hefty responsibility for a recent grad. But she’s gotten there with years of focus and persistence. 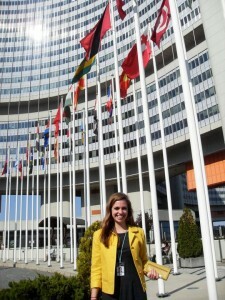 As a law student, Kirsten Lavery (L ’13) interned at the United Nations in Vienna. Photo courtesy of Kirsten Lavery. With two brothers adopted from Romania and Russia, Lavery grew up with strong awareness of global issues. In college, she developed those interests by studying Spanish, government and international studies, taking economic development courses in Chile and participating in Model United Nations. When she started Tulane Law School, she aimed to land a career in public international law, so she looked for diverse opportunities to develop her expertise. 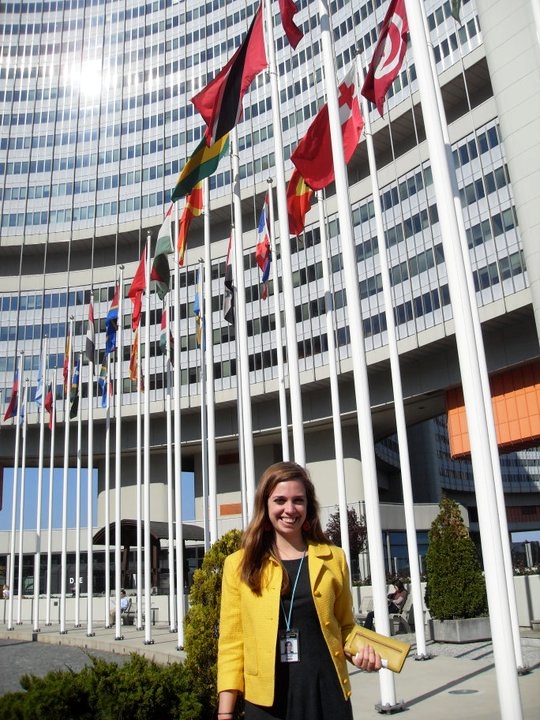 Although she started in the Class of 2012, Lavery took one semester off to intern with the UN’s Office of Drugs and Crime in Vienna. She spent another with the UN’s New York branch, working in the Office of Legal Affairs and the Office of Human Resources Management’s Administrative Law Section. Between internships, she completed a student exchange program in Amsterdam, which allowed her to live in The Hague. And she worked for the Special Tribunal for Lebanon while continuing law classes. Recognizing the challenges of landing a spot in public international law as a new attorney, though, Lavery was careful to explore private practice as well. She clerked for two major firms in New York and planned to start her career there. Kirsten Lavery (L ’13) spoke with Tulane Law students about opportunities at the Public International Law & Policy Group during a recent visit to New Orleans. collar crime for nearly two years. Her firm experience was invaluable, she said, because it taught her to juggle a demanding, fast-paced practice. That training enabled her to hit the ground running at PILPG. 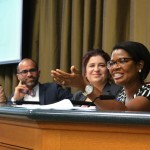 In October, she returned to Tulane Law to meet with students interested in public international law careers and encouraged them to apply for PILPG’s summer program and law fellows program. 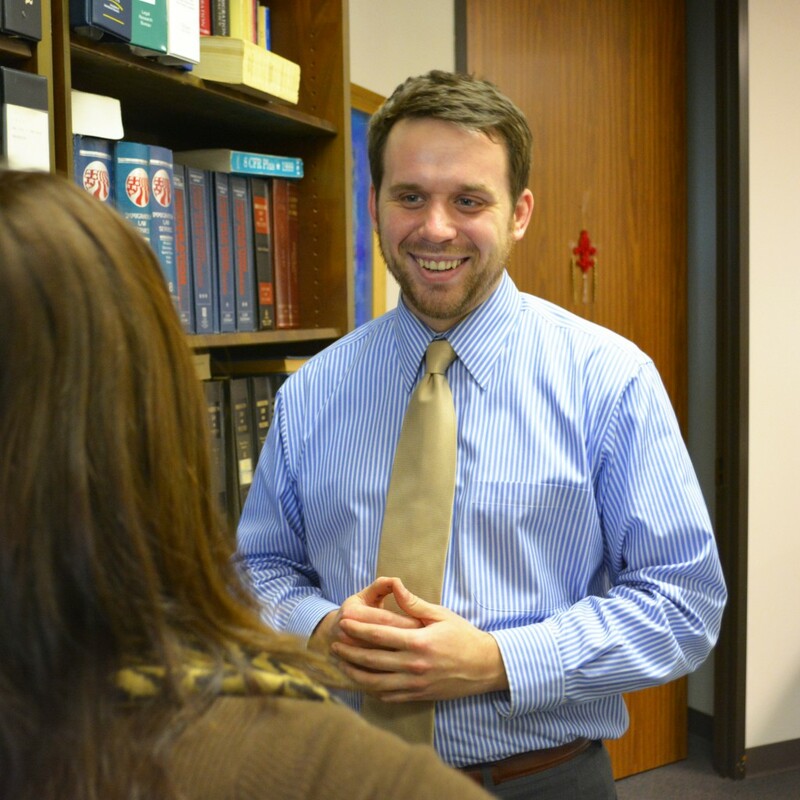 Early in his legal career, 2012 grad Duncan Fulton has found a foothold in a dynamic, specialized practice that’s also personally rewarding. As an associate at Ware Immigration in Metairie, Fulton works on “everything from humanitarian political asylum to family-based immigration to securing work visas for businesses’ employees,” he said. He handles a mix of client interviews, legal research, drafting motions and briefs and arguing before immigration and federal courts. Because federal immigration law is constantly evolving, Fulton said, he’s often tackling novel issues that keep his assignments interesting. And he can see the direct impact of his work. “There’s always a client you’re helping at the end of the day,” he said. 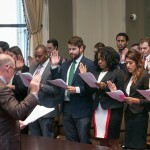 Fulton started Tulane Law eager to explore immigration law. He’d majored in Spanish at Vanderbilt University, interned with an immigration attorney in Nashville and spent a year doing community development work in Ecuador. By honing in on immigration opportunities during law school, he gained meaningful experience that set him up for a career in the field. 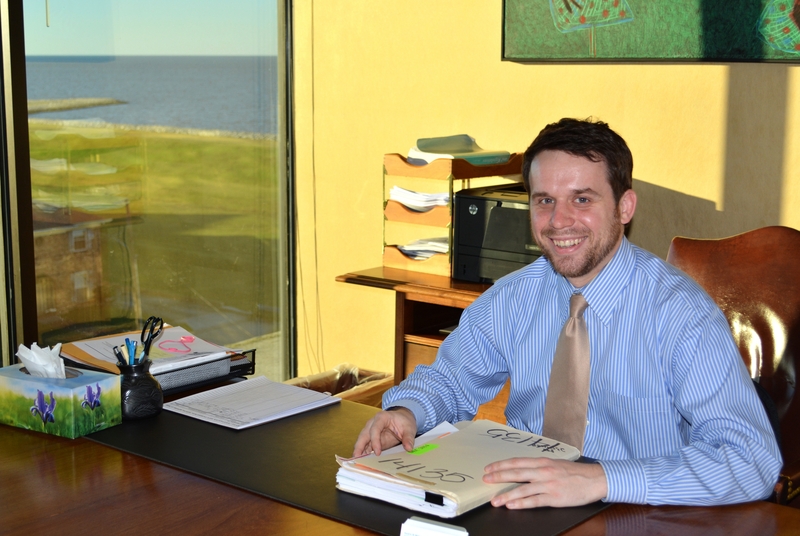 In his immigration practice, Dunc Fulton (L ’12) represents both individual and business clients and handles all aspects of their cases, from initial client intake to appeals. 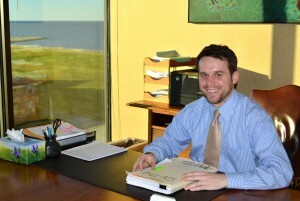 After his first year, Fulton interned for the South Texas Pro Bono Asylum Representation Project, a joint project of the American Bar Association, State Bar of Texas and American Immigration Lawyers Association to provide legal aid to political refugees and unaccompanied children on the U.S.-Mexico border. “I got to do a lot of great hands-on-the-ground work, on the front lines with people who had recently crossed the borders,” he said. 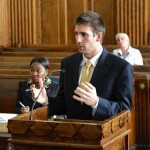 The following summer, he completed a fellowship with Immigrant Law Group, a private firm specializing in human rights and immigration law in Portland, Oregon. Those experiences were instrumental in teaching him immigration basics and developing his professional connections in a tightly-knit practice. “I’ve been fortunate to meet a lot of people around the country who connected me to others in the immigration community in the Southeast,” Fulton said. After graduation, he clerked with the U.S. Immigration Court in Atlanta, then for U.S. District Judge Eldon Fallon in the Eastern District of Louisiana. Fulton said he wanted to stay in New Orleans after moving back – and, when his clerkship ended, he landed his position with Ware Immigration by contacting members of the local immigration bar. This entry was posted in Alumni, International law on December 8, 2015 by tlslagniappe.